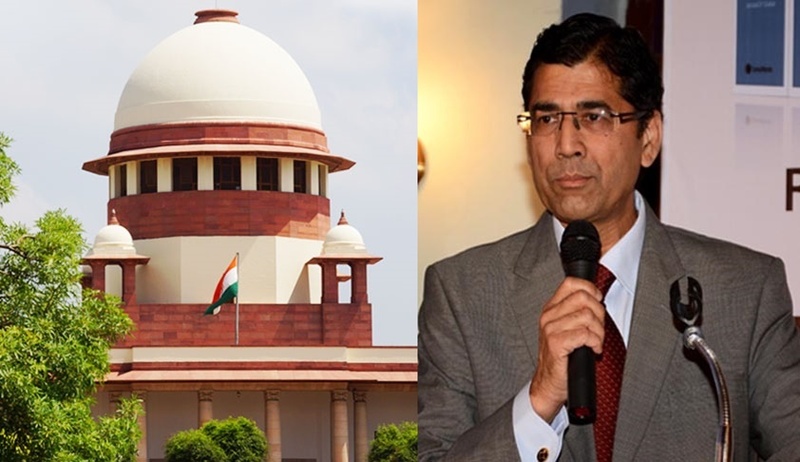 On Tuesday - Day 14 of the Aadhaar hearing, senior counsel Arvind Datar, making submissions on behalf of the petitioners, drew the attention of the bench to Rule 9 of the PMLA (Prevention of Money Laundering Act, 2002) Rules, as they stand after the 2017 amendment, requiring the linkage of existing bank accounts with the Aadhaar number and mandating the procurement of the number for opening new bank accounts. “The PMLA Rule violates the spirit of Article 14 in entirety in so far it arbitrarily metes out unequal treatment based on unreasonable classification. While the Aadhaar scheme is envisaged as being free and voluntary, in view of the Enrolment form appended to the Aadhaar Act and the interim orders of the apex court limiting the requirement of Aadhaar only for PDS, LPG distribution scheme, MGNREGA scheme, National Security Assistance Programme, PM Jan Dhan Yojana and Employees’ Provident Fund Scheme, the PMLA Rule mandates Aadhaar enrolment lest we lose access to our bank accounts. The rule is violative of the right to property under Article 300A,” he advanced. “There is no forfeiture of property. The money in the bank accounts is not forfeited. Besides, the risk of bank accounts becoming inoperable for the want of Aadhaar is posed under the PMLA Rules and not the Aadhaar Act,” noted Justice DY Chandrachud. “Are you trying to submit that in view of the prevailing KYC norms, another regime is not required,” inquired Chief Justice Dipak Misra. Continuing reference to Article 14, Datar submitted that it is unacceptable to proceed on the assumption that the identity of each account holder is fake unless they possess an Aadhaar card. In the same context, he cited the judgment in Lal Babu Hussein v. Electoral Registration Officer [(1995) 3 SCC 100], wherein the apex court regarded as unconstitutional the action of the Electoral Officer to require all residents in a specific area to prove their identity, acting on the presumption that they are foreigners, regardless of the incorporation of their names in older electoral rolls. Thereupon, the senior counsel moved on to 2016 judgment in Cellular Operators Association v. TRAI (the ‘calls drop’ case). He sought to draw an analogy between the said case and the master circular on KYC norms, permitting six ID proofs, issued by the RBI under the Banking Regulation Act of 1949 and the PMLA Rules framed under the PMLA Act of 2002. Justice DY Chandrachud remarked that the purpose of issuing the master circular was not on account of instances of money laundering but to establish identity of bank account holders. Datar and senior counsel Shyam Divan also prayed before the bench to consider extending the March 31 deadline set by the interim order dated December 15, 2017, of the apex court. Attorney-General KK Venugopal recommended that the same may be considered in the last week of March.